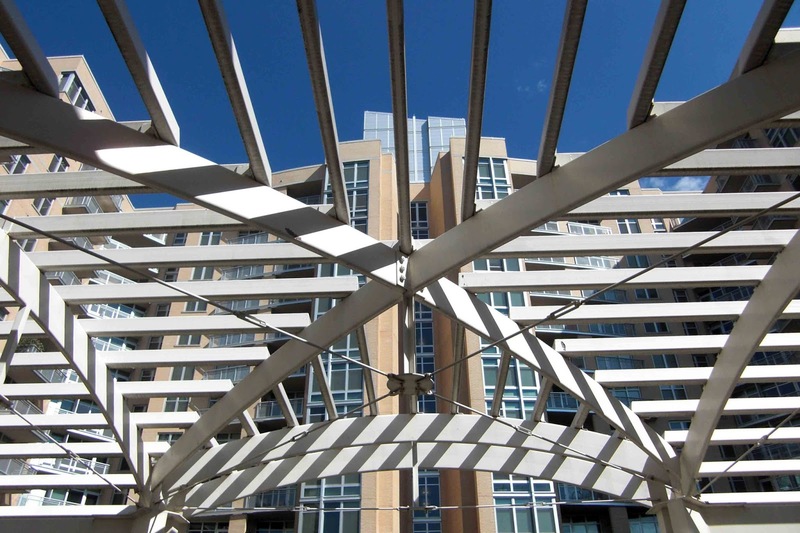 Unlike the first generation of high rise housing that rose around the region's Metro stations, some of the newer buildings boast features that add personality and more of a human scale to otherwise bland, uninviting structures. 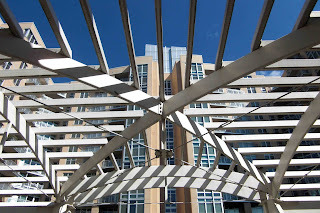 I stopped and admired the morning sun slanting across the pergola in front of this building, creating an overabundance of stripes. Standing under it, I took in the dynamic mix of blue sky, white wood, and shadows. No one sat on the benches that anchor each column but I hope that the residents do come out on fine, sunny days to enjoy the play of light and shadow.